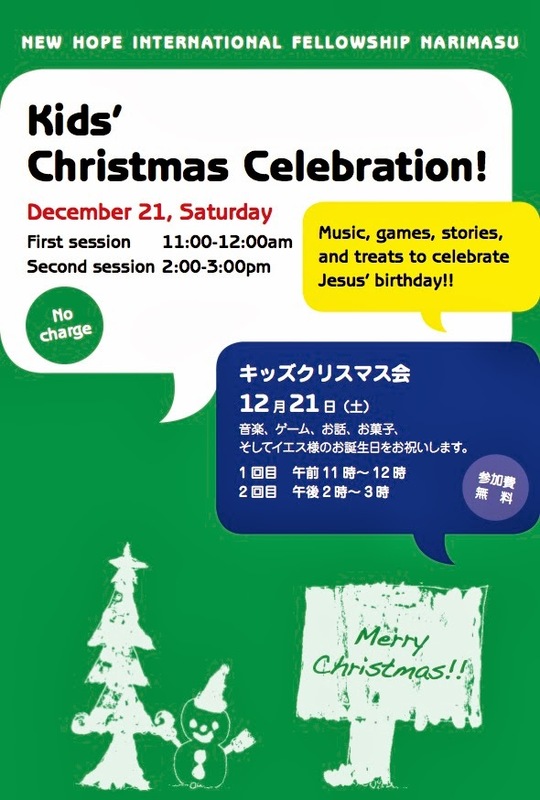 December 7, 10:30-11:30AM (doors open at 10AM) at New Hope Narimasu (International Preschool). Listen to professional musicians Milt and Shion San and let your kids participate and learn from them how to play the ocarina! 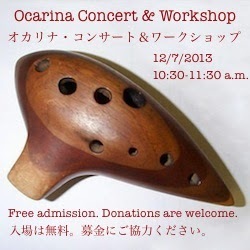 Milt and Shion San are renowned Ocarina players who tour all over Japan. It is a rare chance to experience this musical journey with them and your kids at New Hope! Music will include Disney music and Christmas songs. It's going to be fun!! Admission is free! But a donation of ¥500 for kids and ¥1000 for adults is suggested to support New Hope School. Please come to support us! 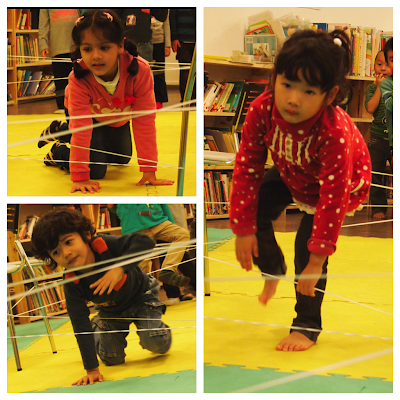 Last week the preschool kids learned about insects and spiders. In keeping with that theme, Mrs. Amy set up a spider-web obstacle course for PE. It's not only a preschool; it's a place for me to grow as a father. My daughter should explain how she enjoyed life at New Hope Preschool. Here I explain how I have grown as a father through New Hope. I really did not expect this result! This place inspires me! I am not sure what you are looking for for your child. Maybe you are a looking for a preschool that focuses on fun with high energy teachers, or a preschool that will discipline your child strictly. If so, maybe New Hope Preschool is not the best choice. But if you want your child to be brought up by teachers who care for and love your kids, and if you want your child to brought up in a loving and encouraging environment, a place to learn how to get along and with kids of different ages and learn how to care about others, a place to develop a good sense of responsibility and the right value set, New Hope Preschool is the right place. The teacher held a weekly mother's English class. From the name of it, you might think that this is a class for the moms to learn English. But this is not the only purpose. In the class, we understand what our children are learning at school. We also learn the Bible message through the theme of the week. Also, teachers share their views of how our kids are growing, we learn about parenting, we exchange ideas on issues and they really take our opinion into their hearts. Teachers really get to know our kids very well, but they do not only know our kids well but also love them, like their close relatives. 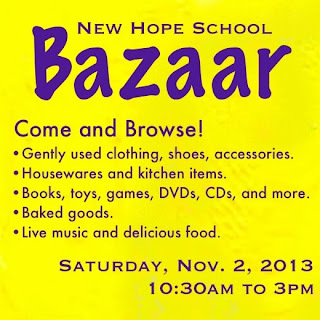 In addition, New Hope also held a few parenting seminars. Through these experiences, I really grew with my kid through the school. 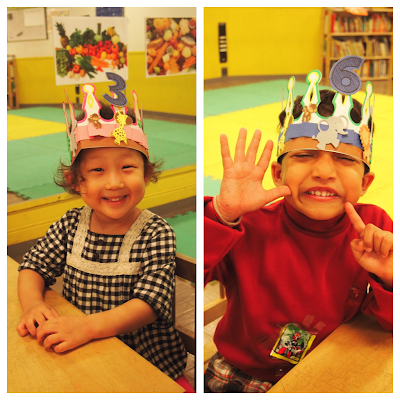 The teachers are like our partners to develop our children together! I truly think it is a blessing to send our kid to New Hope. It is a place full of love. It is truly intellectual and inspiring! Mommy and Me is for toddlers and their moms, grandmas, dads, grandpas, or other caregivers. Meet once a week, have fun in English, and get ideas that you can use every day! The preschool children learned about Noah's ark and studied rainbows. 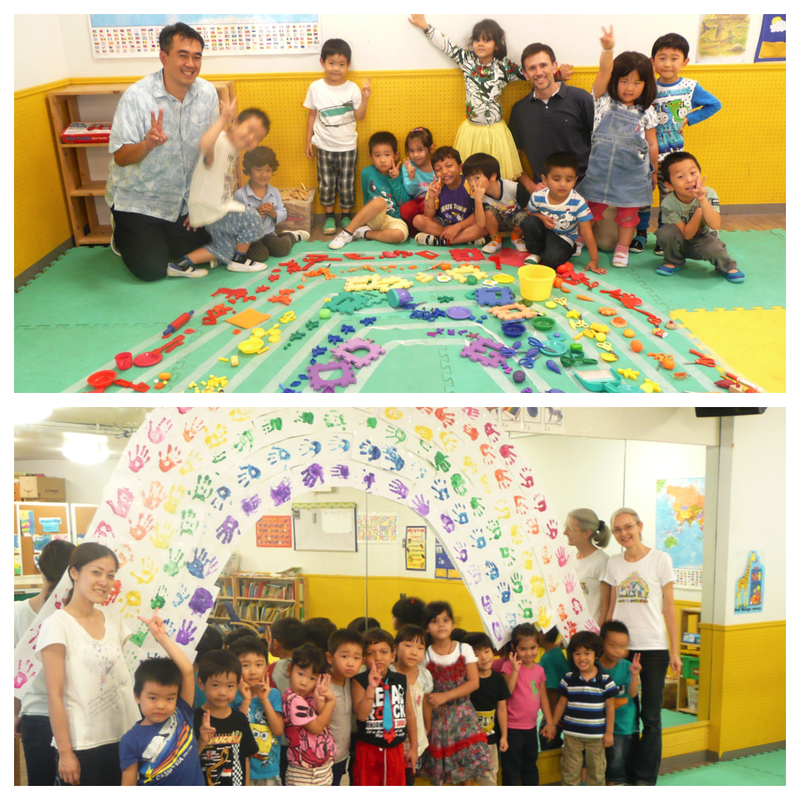 The top rainbow is made from classroom items, the bottom one from the children's handprints. Our summer school theme for elementary kids this year is inventions. Today's project was to design a better pencil and make a poster presentation about it. Enjoy! This term in elementary/middle school, students have been learning about how Europe colonized the New World. To the Europeans, America was a mystery. They had no maps, no tools, no established food production or trade partnerships, and no knowledge of the civilization that existed before they arrived.